Martini Racing is the name under which various motor racing teams race when sponsored by the Italian that produces the world famous drink in Turin. Martini's sponsorship program began in 1968. The race cars are marked with the distinctive dark blue, light blue and red stripes on white, red or silver background body cars. 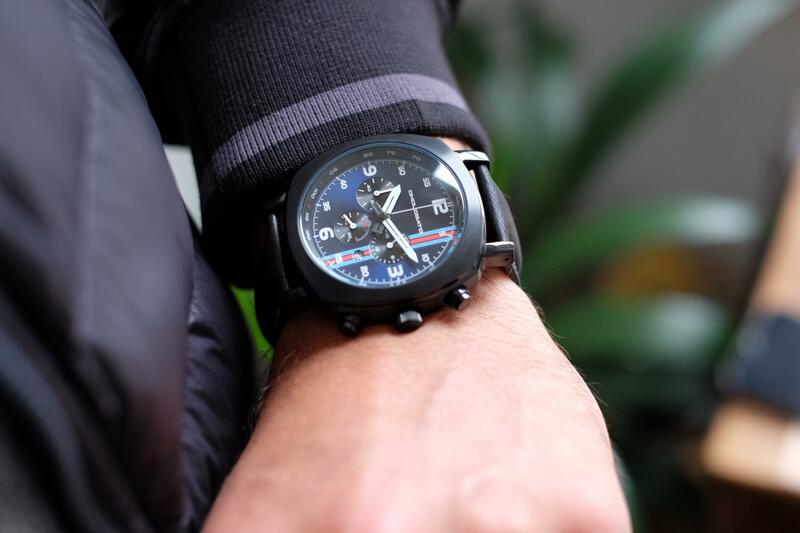 The Racing Chrono 24 is the perfect tribute to the epic racing livery. 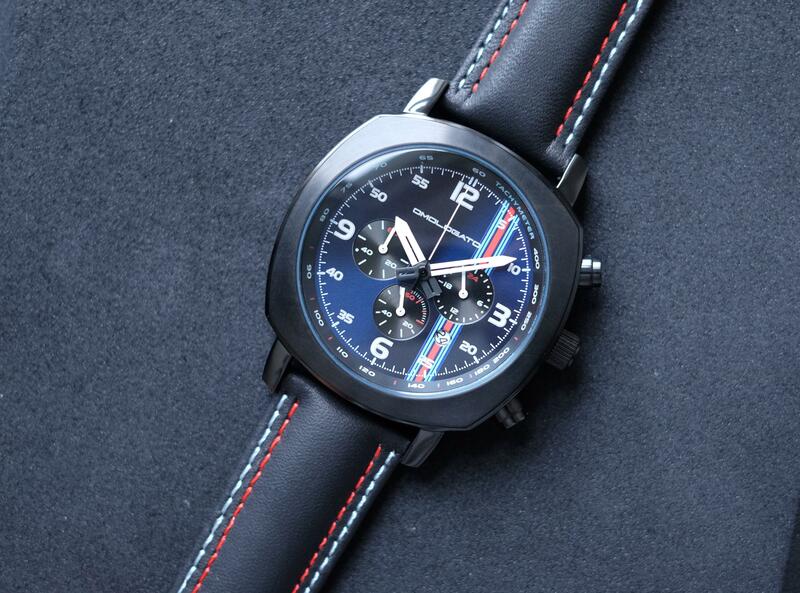 We painstakingly hand make this watch to be as robust for track driving as it is for every day use.